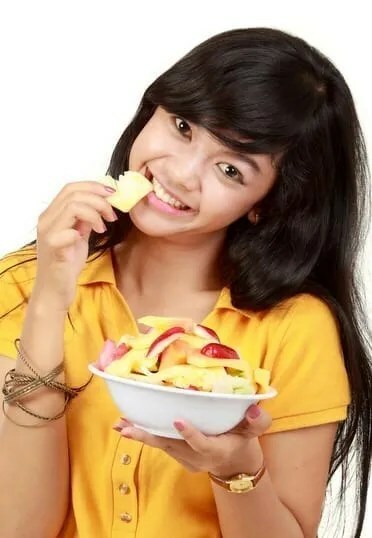 Are you concerned about teen nutrition? Does your teen run out the door without breakfast? Do they gulp down energy drinks for “snacks” and eat pizza for dinner? And are you exhausted from begging, pleading, and scolding them to sit down and eat some real food? These stalemates take place in the homes of too many American teenagers. Some lucky teens have parents who understand how important nutrition is for growing bodies and minds. Aside from infancy, the teens are the most critical years for brain and body development. And, food rituals and tastes developed between twelve and eighteen inform the habits of a lifetime. Research proving that a teenager’s brain development is not complete until age 25 underscores how key nutrition is for this age group. Studies show that teens with mineral and vitamin deficiencies are more susceptible to eating disorders. Protein is vital, too and teens require more digestible protein than any other age group. The key word is digestible. If a food is not assimilated and properly eliminated, its value is diminished greatly. American teens are not assimilating or eliminating their foods which compromises teen nutrition. Their gut health is a disaster. If your teen is like the many I see in my office weekly, they may feel much worse than they let on. They might suffer from headaches, constipation, low energy, depression, fatigue and fog-brain. I will tell you something that they may not tell you, because you are “the parent.” They cannot stand feeling this way and want to change. While they should be expected to be in charge of their own meals, it will take a team effort to identify and create delicious meals and snacks that your teen will love. Wondering where to start? One of the most powerful treaties you can make with your teen is a food truce. Let them know that their nutrition matters to you, and you want to identify foods they love and are good for them. What veggies will they eat? If there is only one, start there, and suggest another one or two to try. Most teens would be happy to know that baked sweet potato french fries qualify as vegetables. Serve sprinkled with salt & cayenne pepper! When we fall into a food rut at my house and everyone seems bored, I ask my teens to go grocery shopping with me. Even if they balk at first, we have fun, and the results are improved teen nutrition. I let them buy things that look good to them, and I relax, to some degree, about the ingredients. We always spy new fruits, veggies, and even frozen foods that look interesting. If salads are not being consumed regularly, encourage your kids to pick out the greens and dressing. On our last shopping trip, we discovered spicy sausages, purple potatoes, tart green apples, wasabi nori slices, gluten-free pumpkin muffin mix, and teriyaki turkey jerky. The only downside was that everything was gone in four days! Smoothies and soups are easy and speedy solutions to teen nutrition. Two big scoops of protein powder, almond butter, frozen fruit, and rice or almond milk makes a delicious instant breakfast or late-night snack. Smoothies are an excellent transport system for vitamins, supplements and probiotics. Dehydrated greens disappear gracefully into smoothies and soups, so you will not need worry if your teen is not eating kale at dinner. Here is a creamy soup that is a favorite at my house: toss in blender the following–steamed broccoli, cooked frozen corn, coconut milk; add salt and pepper, or even a tsp. curry powder, and enjoy! Wanted: Parents & Teens for our April Happy-Gut Makeover Cleanse! Join us and learn how to be healthy, happy, slim and fit!